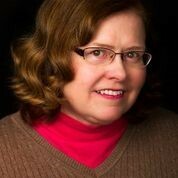 A legislative attorney and former law librarian, Paula Gail Benson’s short stories have been published in the Bethlehem Writers Roundtable, Kings River Life, Mystery Times Ten 2013 (Buddhapuss Ink), and A Tall Ship, a Star, and Plunder (Dark Oak Press and Media, released January 20, 2014). She regularly blogs with others about writing mysteries at Writers Who Kill. Her personal blog is Little Sources of Joy and her website is http://paulagailbenson.com. A story with a noticeable disconnect that is not somehow resolved in the end.